I have to be honest here; when Ion Storm folded back in 2005, I pretty much figured that was the end of the Deus Ex franchise. The series was the brainchild of Warren Spector during his time with Ion Storm, and the first game in the series has been almost universally praised by the gaming media and general public since its release. 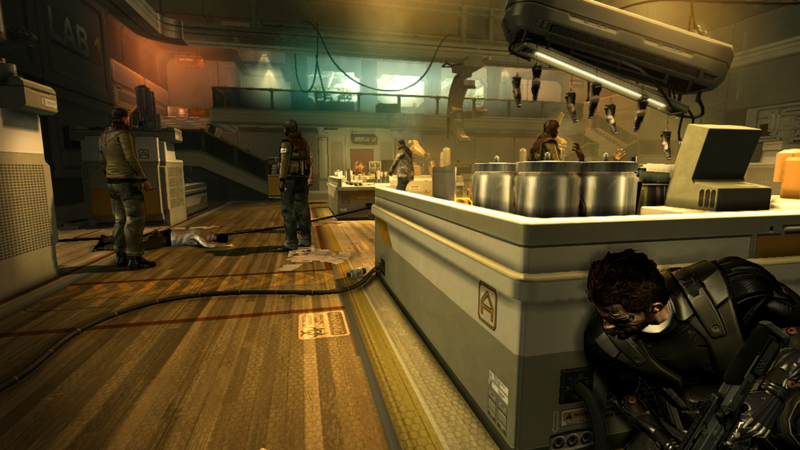 While Deus Ex: Invisible War has been somewhat less receptive of praise than its predecessor, it was also an excellent game in its own right, and while the games were perhaps a bit too visionary for their time, and didn’t sell as well as one might have hoped, the franchise showed considerable promise that was seemingly cut off when Ion Storm was shuttered. Eidos seemed to agree, as what was intended to be a multiplayer Deus Ex title was instead released as Project Snowblind, and the franchise seemed destined to fade into obscurity. But here we are, some eight years after the release of Deus Ex: Invisible War, sitting down to talk about Deus Ex: Human Revolution, a game borne from Eidos Montreal that, unlike its predecessors, does not feature Spector at the helm. My initial impressions of the game at E3 this year left me somewhat skeptical towards the final product, as it seemed like the game was fine, but not really in tune with the franchise all in all, but I was still looking forward to the game all the same. 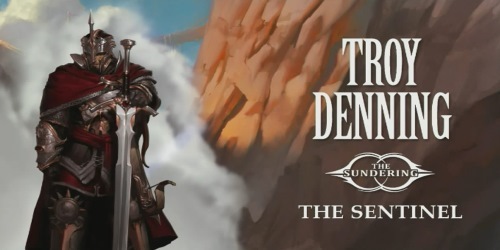 I’m a fan of the franchise, to be certain, and was hoping to be proven wrong at best, but at worst, the game seemed like it was on track to be a good experience, if nothing else, and one that might revive the brand name at that. Thankfully, I was, in fact, proven wrong, in all the right ways. Deus Ex: Human Revolution takes place in 2027, about twenty five years before the events from the first game, and focuses on Adam Jensen, a biomechanically modified man looking for some vengeance. As the game begins, the company he works for, Sarif Industries, is assaulted by unknown forces just prior to revealing some huge research that promises to change the landscape of human modification in the game world, and said revelation is essentially aborted in one shot as a result. Project head Megan Reed and several of her associates are killed in the attack, and Adam himself is left for dead in the process before Sarif pieces him back together with some biomods, bringing him back into the equation with some serious new upgrades… and more than a little interest in finding out who put him in this position. 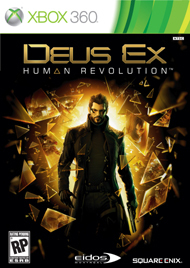 Deus Ex: Human Revolution does a lot with its plot, and is expertly written in most respects; it offers the player multiple different ways to accomplish tasks and different points that come up in the plot as a result of the decisions made, and the core plot is well written, complex and easy to follow, which is no easy task. It also makes lots of little insider references to Robocop and Blade Runner, among other things, which are very amusing in context. As such, the plot is a pretty solid one all in all; it has a little bit of humor mixed in with its excellent writing and plot weaving, and while the story is quite serious, it knows how to break things up just a bit to keep from becoming self parody, and in that respect, it’s excellently written. That said, the endgame suffers in two key ways. First, Deus Ex generally made a point of not developing characters who wouldn’t be involved in the events of the game to its end too heavily; that way, when things were wrapped up, the player wasn’t left wondering how things would go. Deus Ex: Invisible War is a bit of a polarizing game for some, but it understood how important it was to tie up all of the loose ends in the endgame, and literally stuck every important character in the ending sequence so that Alex D. could resolve everything in one shot. Deus Ex: Human Revolution goes in the opposite direction and humanizes Adam Jensen too much, turning him from an agent of the player into an actual character with actual attachments and emotions, and giving him friends and allies that he likes and cares about. 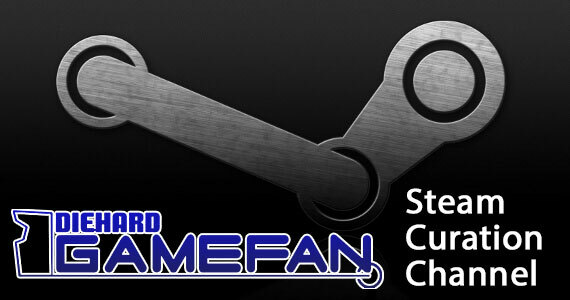 This becomes an issue because, well, the game doesn’t resolve anything with them. Adam does what he does, and that’s it; we get the ending of choice, but no real indication of what happens to the characters we’ve become attached to. Further, the endings aren’t as strong as they could be, unfortunately; while Deus Ex as a series generally allows for different endings depending on what the player wants to do, the endings here don’t really resolve anything. The prior games showed you the consequences of your choice, for good or ill, but that doesn’t really happen here; the endings are more philosophical than anything, and while, obviously, whatever ending you choose is basically leading to Deus Ex anyway with this being a prequel and all, that there’s no real sense of closure to the story is unfortunate. You’re not really shown the true consequences of your actions; the game just… ends. Granted, this is a rare instance where the ending does not hurt the whole story as a result, as one can look at the whole package and enjoy it for what it was, but had more effort been put into the endgame, a better experience would have resulted. Deus Ex: Human Revolution is mostly fantastic in the visual department, due in large part to the excellent world created and the great looking characters that inhabit it. Adam Jensen is represented in fantastic fashion, be it from the first person perspective, from third person views, or in cutscenes, and he’s very much animated in a way that oozes power and skill. His enemies, be they lowly grunts or powerful boss enemies, are appropriately interesting and imposing as needed, and they’re animated well in both life and death. The environments are suitably lively and impressive as living cities that Adam explores, and the buildings and such Adam pokes around in are quite varied and interesting. Some enemy and civilian textures repeat, however, which is a bit of a disconnect point, and moving around dead bodies can cause glitching at times. Aurally, the game is also very stunning. The game music is fantastic, both in general and for setting the tone of the experience, as the ambient electronic synths that pop up in quiet times come together nicely with the upbeat tracks used when Adam is fighting for his life to match the pace of the experience well. 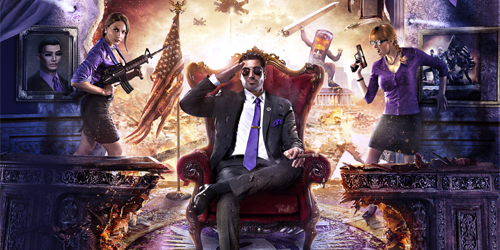 The voice acting is also excellent across the board, from the gravely tough-as-nails Elias Toufexis puts in for Adam Jensen to the upbeat, equal parts strong and positive performance Paula Jean Hixson gives as Faridah Malik, oh, and of course, Andreas Apergis’ awesomely annoying-but-respectable Francis Pritchard and beyond. The sound effects are also very well assembled and implemented, be they the simple ambient sounds of a loud and disheveled city or the powerful effects of gunfire in a tense back-and-forth battle, and they add a lot to the aural experience. At its core, Deus Ex: Human Revolution is a first person shooter with some RPG elements attached, but it’s not just about shooting people in the face, as you have a variety of tools at your disposal to accomplish any task you need. The left stick moves around while the right stick aims and looks around, and pressing in the left stick allows you to crouch, while pressing in the right stick puts you into aiming mode for more precise shooting. The A button jumps, X reloads and interacts with the environment, B uses your takedowns (pressing it uses non-lethal attacks, holding it uses more lethal options), and Y can be pressed to holster/brandish a gun, while holding it brings up the equipment wheel so you can use items or change weapons as needed. The left bumper lets Adam sprint forward, the right bumper tosses out whatever grenades you have equipped at the moment, the right trigger fires your weapon of choice, and the left trigger allows Adam to hug cover to hide or take cover from enemies. Pressing Back at any time brings up the menu, which allows you to review the map, your objectives, the memos you’ve collected, your skills, and your inventory as needed, depending on what you need at the time. Finally, the D-Pad can kick in any one of four abilities you can acquire at the press of a direction, allowing you to move silently, cloak, and other fun things, depending on what you’ve unlocked and what you need at the time. The game offers up optional tutorials you can view when offered if this is your first time playing the game, which all do a good job of explaining how things work, but for the most part, the game is fairly easy to get into and learn and you shouldn’t have much trouble adjusting. While Adam can shoot his way through every scenario, that doesn’t mean he should, however. 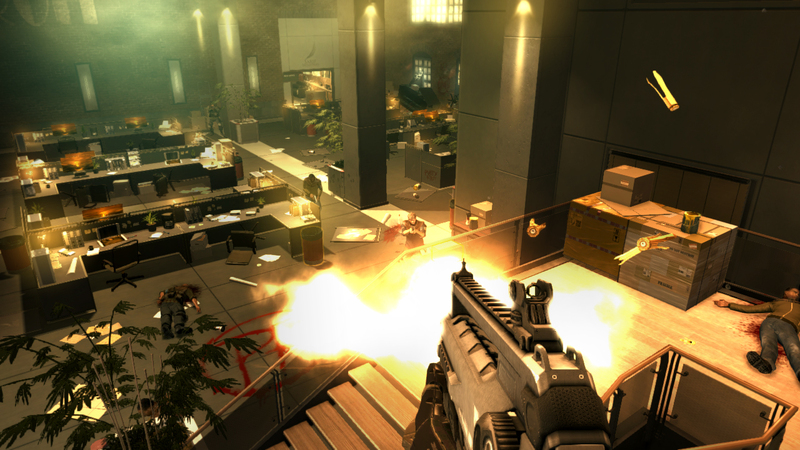 The game offers numerous experience point bonuses for, as an example, taking out enemies in non-lethal fashion over killing them, as well as for avoiding setting off alarms and being spotted over running in guns blazing, though the latter option is a wholly viable way of playing. 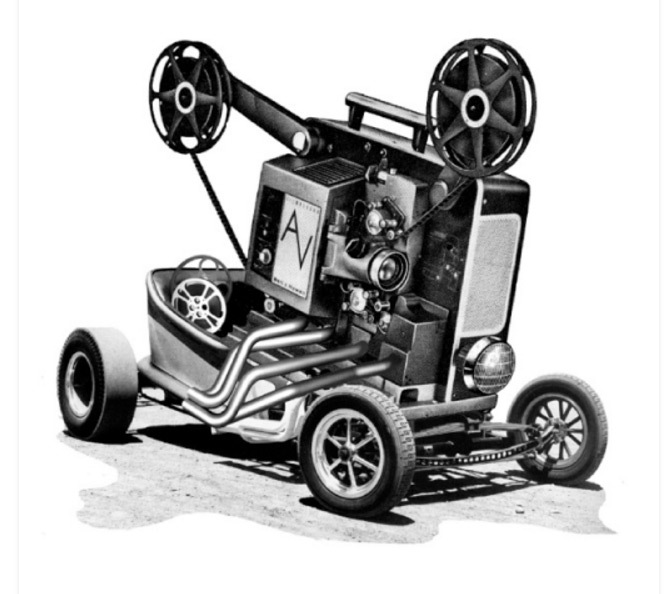 If you want to take it to the enemies with your most violent tools ready and waiting, you can totally do so, but there are numerous pathways through stages, vents and hidden rooms to discover, and terminals and such to pick through that allow you the option of a less violent approach, should you wish to engage in this thing. Adam also has plenty of skills he can enable and upgrade using Praxis points (either by earning them with experience points, finding them, buying them, or getting them through missions) that can facilitate any gameplay style you wish. Want to get violent? Buy the Typhoon system and wreck enemies with powerful area of effect attacks or upgrade your armor to resist the worst assaults. Want to sneak around? Buy cloaking shields, silent movement augments, and skills that let you see enemies through walls. Want to hack everything you see and exploit the computer systems? 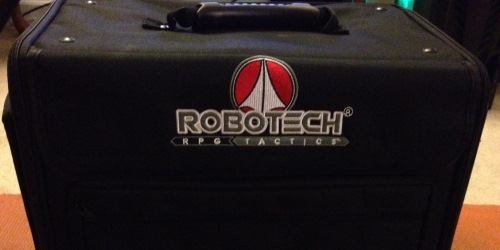 Buy upgrades to the hacking systems to hack stronger computers, avoid detection, and turn enemy robots against them. Whatever gameplay style you want to use is up to you and all of them are totally viable options, so long as you have the skills to back them up. 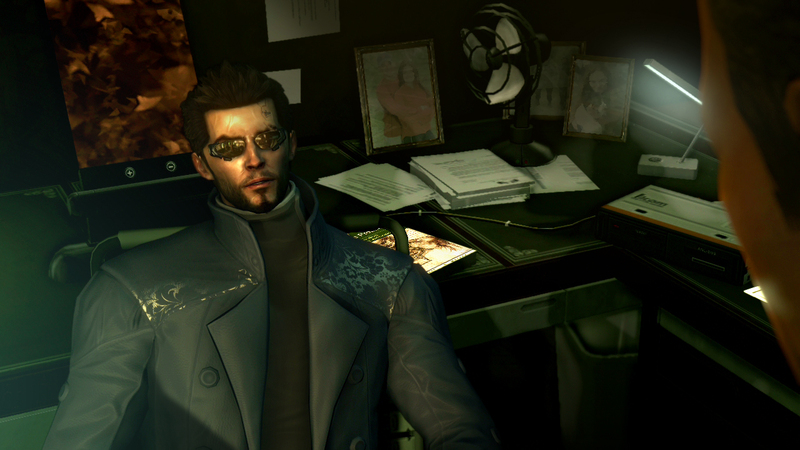 Of course, Deus Ex: Human Revolution isn’t JUST about wrecking people and things. Adam spends a good amount of time walking around the different non-combat zones, talking to people, picking up clues and objectives, and buying or selling stuff as needed. When you’re engaged in conversation with people for the various storyline and side missions you’ll find, while many of these conversations are simply available for Adam to find out information as needed, but more than a few of these conversations are battles of will against other NPC’s in the game. You’ll be offered different conversation choices that can either upset or placate the NPC, allowing you to either talk them down from doing something or enrage them into a completely different direction, as the situation merits. If you’re very bad at this, though, there are augments you can buy that also allow Adam to influence the direction of conversation just by using some pheromones to direct the tone as he deems fit… assuming you pick the right choice, of course. If you succeed at these conversations you can influence the direction of the plot in a way that makes things somewhat easier for you, though failure isn’t the end of the game, as there are always other options available to you, such as brute force and stealth, as mentioned. So, in other words, if you’d prefer to talk with your guns, go nuts. Hacking also plays a decent part in the game, though in storyline missions you can avoid it almost entirely if you want. You can jack up alarm panels, terminals, keypads and other fun things, which brings up a weird computerized grid for you to look over. You’re given a main point of entry, a destination node, an enemy tracking node, and several other nodes you can occupy, which may confer no benefit, may offer benefits in the hacking attempt, or may contain gifts should you successfully complete the hack. Adam also has various augments that can be used to simplify the hacking activities if you want to make the best of the situation, by reducing the change you’ll be discovered hacking a node or increasing the defense you can add to a node’s rating, for instance. You can also find Stop and Nuke programs that halt the defending computer’s efforts to pursue you or silently and instantly take a node for you, respectively, though you can only use these tools as often as you have the items to support them. Should you fail at a hack, the terminal you’re hacking will often set off an alarm to alert others to your attempts, as well as lock itself down for thirty seconds or so; as such, it’s best to jump out of the terminal before you fail completely, though you only get so many chances at THAT before the terminal locks down anyway. Fortunately, you can look over the entire grid at any time, and you’re not timed unless the defending system realizes you’re hacking in, so you can plan your moves out as needed long before you actually have to do anything. Once you’ve hacked into something, you can access it as if you were the user, so you can open doors and safes, completely disable alarm panels, and use computers to read E-mails, turn off cameras and disable bots… or turn them against your enemies. 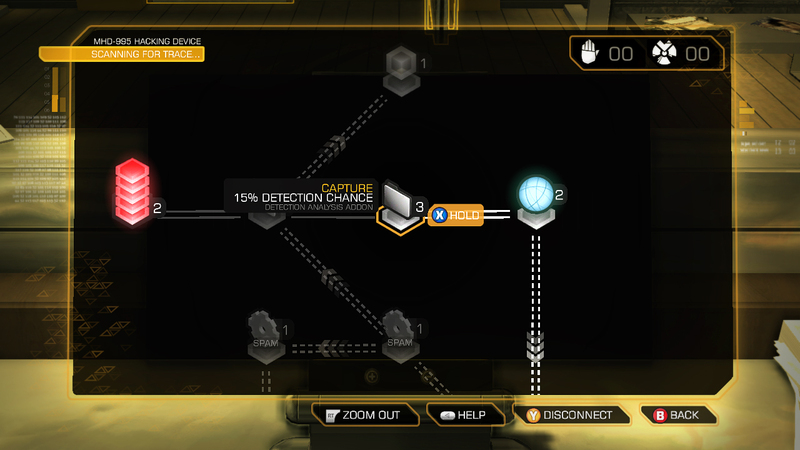 If you just plow through the storyline missions and take the road of least resistance, you can pretty much finish out Deus Ex: Human Revolution in around ten to fifteen hours, give or take, but there are plenty of side missions to take on and places to explore for loot and hidden information that you can easily double that time spent with the game. With the different enhancements available to you, the different pathways you can take through each mission and the different ways you can approach discussions with NPC’s, there are plenty of reasons to come back to the game from a gameplay front alone. Add to that the fact that there are multiple difficulty levels to choose from, weapons to customize the heck out of, endings to earn and Achievements to clear, and Deus Ex: Human Revolution can easily take up a good amount of your time. There’s also the hint of DLC, between what was made available at launch and what could well be created after the fact, which will hopefully add even more content to the experience in terms of missions and toys to work with. Even without the DLC, though, there’s enough different things to see in the game in terms of the variety of play style options available, and with the different mission and path options, anyone who finds themselves wanting more will find plenty of reasons to come back to the game again. 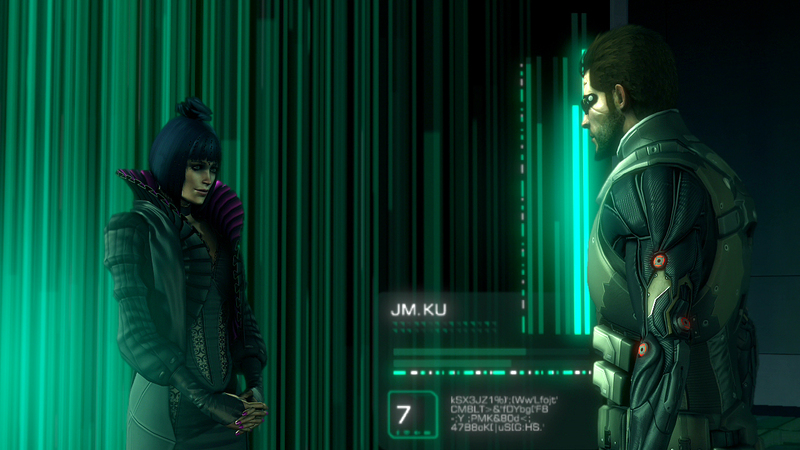 Deus Ex: Human Revolution isn’t a perfect game, mind you, though the flaws aren’t significant all in all. Aside from the plot issues, the biggest issue that stands out is the disconnect between the boss fights and the rest of the game. At any other point in the game, Adam is free to choose his own path, be it stealth, non-violence, or straight killing, with no issues. When Adam is presented with a boss fight, of which there are several throughout the game, Adam is offered no such option; he can simply kill his enemies with whatever weapons and environmental tools are provided. It’s not that the boss fights aren’t impressive, or that the fights shouldn’t exist; rather, it’s that for a game that offers up so much variety in how the player can take on the rest of the experience, the boss fights are very straightforward and there’s only really a few different options in the very last one for how to proceed. In other words: no matter how much you want to upgrade all of Adam’s other skills, you’ll end up jacking out a combat weapon and some health and combat skills before the end of the game just so that you can even survive. The battles are still fun and challenging, all the same, but some kind of variety to them would have been a better choice. The AI also falls into the “run into the vents”Â trap of most stealth games; as anyone who has played something like Metal Gear Solid or its sequels can attest, vents are basically “home base”Â, and can be used to wage a war of attrition on enemies with little trouble. Deus Ex: Human Revolution has some tools to make this harder on the player, such as gas grenades that seep well into the vent pathway, but with the right augments and some patience you can essentially find a vent and use it to wipe out enemies far beyond your capability, as I did in a few areas I’d have been obliterated taking head-on. Deus Ex: Human Revolution suffers some minor issues of imagination, but significantly overcomes them in a way that makes it, easily, one of the best games released this year. The plot is nothing short of excellent almost universally, melding together massive plot twists with simple, down-to-earth character development in an exceptional way, and the game is visually and aurally stunning in most respects. The game is very simple to understand and play but offers a great amount of variety in its function, allowing the player numerous routes and options for how to go about their business at nearly every point in the game. Between the large amount of variety to ones actions, the diverse gameplay, and the different endings, difficulty settings and Achievements to earn, there’s plenty of reason to come back to the game even after a first and second playthrough. It bears noting that the endings of the game are underwhelming in the face of everything leading up to them, that the boss battles are one-dimensional in comparison to the multi-faceted stages leading up to them, and that the gamer falls into some of the same traps its stealth-based predecessors do with its AI. This is not to say, however, that the core experience is somehow less than the sum of its parts; indeed, even with those flaws, Deus Ex: Human Revolution is a fantastic experience from start to end, and it’s easily one of the best games released this year. Deus Ex: Human Revolution is more than a great game, it’s practically a miracle, as it’s a sequel/prequel to a cult favorite franchise that mostly does its predecessors proud despite not being associated with the original development team, and still manages to be a great game in its own right. The story is excellent overall, featuring some outstanding character development and a myriad of believable and well written twists and turns that keep things exciting and well paced. The game looks and sounds excellent, and the gameplay is easy to learn and quite deep, thanks to a game world that offers numerous ways to accomplish every task and encourages experimentation and exploration. The game offers an excellent amount of variety and depth, as well as multiple difficulty levels, branching side quests and Achievements to keep players coming back for more beyond the first playthrough with no though about it. However, the endings of the game feel hollow to a point and don’t resolve as much as they should, if anything, the boss battles lack the variety and multi-dimensional aspects of the missions that precede them, and the game falls into the same trap as similar games that offer stealth gameplay, at least as far as the AI is concerned. These issues do little to detract from Deus Ex: Human Revolution, however, as the final experience is a great one, and one that is easy to recommend to anyone looking for something substantial to keep their attention.